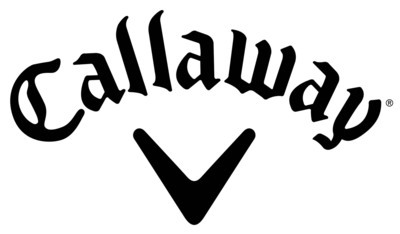 CARLSBAD, Calif., Jan. 16, 2018 /PRNewswire/ -- Today Callaway Golf Company (NYSE: ELY) - already the industry's number one brand in the Driver and Woods categories - announced the Rogue Drivers and Rogue Fairway Woods, both featuring the company's proprietary Jailbreak Technology. The new premium performance clubs will be available nationwide on February 9, 2018. 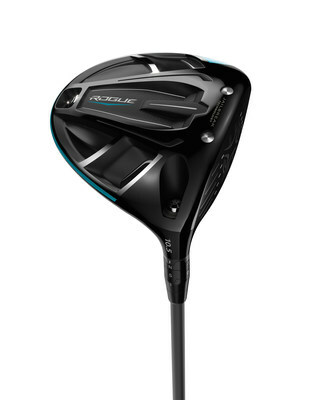 Distinguished by increased ball speed from what the company calls "The Jailbreak Effect," the new line of Rogue clubs feature an enhanced version of Jailbreak Technology in both the driver and, for the first time, the fairway woods. Jailbreak Effect: Combined power of Jailbreak Technology and X-Face VFT Technology promotes high ball speed and long distance. The large Triaxial Carbon composite crown surface area in a Callaway driver and new high-MOI shape with larger address footprint combine to increase stability and forgiveness. Choose from 40g, 50g, 60g and 70g shaft weights by Aldila and Project X. "The challenge was to make these technologies, Jailbreak and Face Cup, work together," said Dr. Alan Hocknell, SVP, R&D, Callaway Golf Company. "That technological synergy is what makes Rogue fairways an engineering marvel, and an absolute powerhouse." Jailbreak Technology and Face Cup work together (for the first time) to promote fast ball speed across a large part of the face for consistently long distance. Weight saved by the light, strong Triaxial Carbon crown is repositioned in the head to promote high launch / low spin and increased MOI. Industry-leading shaft selection, plus weight and loft options: multiple premium shaft brands and weights – 40g, 50g, 60g, 70g, and 80g.